D.W.'s Motor Machine & Tractor Parts provides agricultural tractor motor repair, parts and more. Our range of service includes repairs of orchard and vineyard agricultural tractors and equipment, sales of parts and accessories, tractor rebuilds, and hydraulic parts and repairs. We have an extensive line of aftermarket parts to fit your tractor needs. blue "A&I" ball. It will take you to an more extensive parts dept where you can order directly from our warehouse and pay through our secure credit card dept. 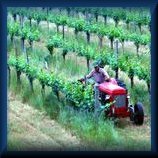 D.W.'s Motor Machine also specializes in parts and repairs for Chisholm-Ryder grape harvesters equipment. We also carry many parts to fit American Harvester, and metric bearings for Nairn harvesters. We are authorized Perkins dealers and an authorized distributor of Oil Eater Cleaner/Degreaser which is available in 55 gallon, 30 gallon, 5 gallon or 1 gallon containers. Check our web site for your needs or specialty parts and supplies. Our prices are updated constantly to give you the vary latest prices. For customer satisfaction, proven experience, personalized attention and integrity, contact D.W.'s Motor Machine. Serving growers in Eastern Washington and nation wide.